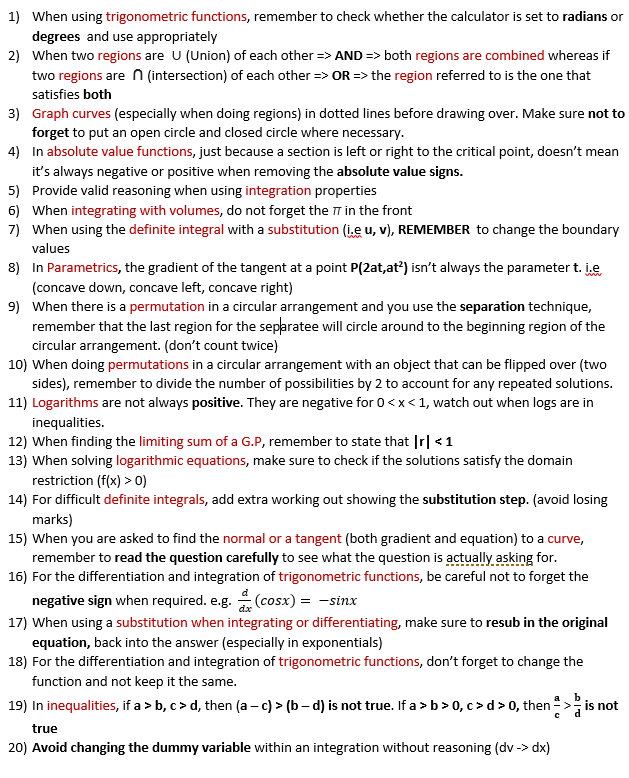 In this post, Matthew Winfred's hacks for scoring 100/100 in Maths Extension 2 while in Year 11! In this post, we share Matthew Winfred’s hacks for scoring 100/100 in Mathematics Extension 2. Matthew also scored first in the state for Mathematics Advanced 1 in 2016 and achieved a perfect score in Mathematics Extension 1. University Course Choice: I have to finish Year 12 first! When studying mathematics, I start by revising any concepts learnt during class. I then go through multiple textbooks to ensure that I have a solid fundamental understanding. The Matrix Workbooks are a great resource that really helped me in covering my basics. I find it extremely important to not just remember formulas but to also understand how they are derived and applied. Especially during classes, I tend to ask any lingering question to my teachers and explore slightly beyond the scope of the syllabus to gain this understanding. Being curious and not just accepting what is being taught until knowing it back to front is essential to long-lasting learning. The best way to test your understanding is trying to teach it to others and always questioning, “Why?”. Although many people don’t do it, I also find it really useful during this consolidation period to have notes dedicated to summarising the concepts. This especially came into play when first being exposed to new types of questions and methods. I created notebooks dedicated to each topic with common question types and their associated methods of approach. I wrote down any methods for tackling difficult questions and wrote any alternative methods of approaching the easier ones to ensure I had a grab-bag of ‘ideas’ when facing questions I had never seen before. This gave me material in which I would later revise upon and ensured that any gaps in my knowledge were accounted for. I also kept a document that listed all of my past mistakes, and any common ones that people fell for, and added to the list as the year went by. The only way to improve your speed and accuracy is by exposing yourself to a variety of different questions. During my study, I would complete as many practice questions and exercises as I could and impose strict time ‘challenges’ on myself. These were often one and a half hour time restrictions in completing as much of an exercise as I could. This really aided me in improving my thinking speed and helped me practice finding the most effective method of tackling each question. Exposed me to a variety of new questions and gave me confidence in my abilities when I saw similar questions in my exams. I found it essential to have enough practice until every question I came across becomes second nature, which was essential in succeeding in mathematics. Helped me grow accustomed to the stress of time limitations and practising my exam technique. This was useful in making me practice time allocation and it exposed me to scenarios where I’d skip a question and come back to it later. I also experimented with reading time and found that spending it on solving circle geometry in my head was the most effective for myself. Allowed me to develop my own methods of tackling exam questions. I found that rather than brute forcing a question out with the first method that came up in my head, I should consider the various methods that could apply to the question and choose the best one. Although this made me start the question ‘later’, it ensured that I was properly answering the question with the fastest method, and in case the approach didn’t work, I could revert to another. 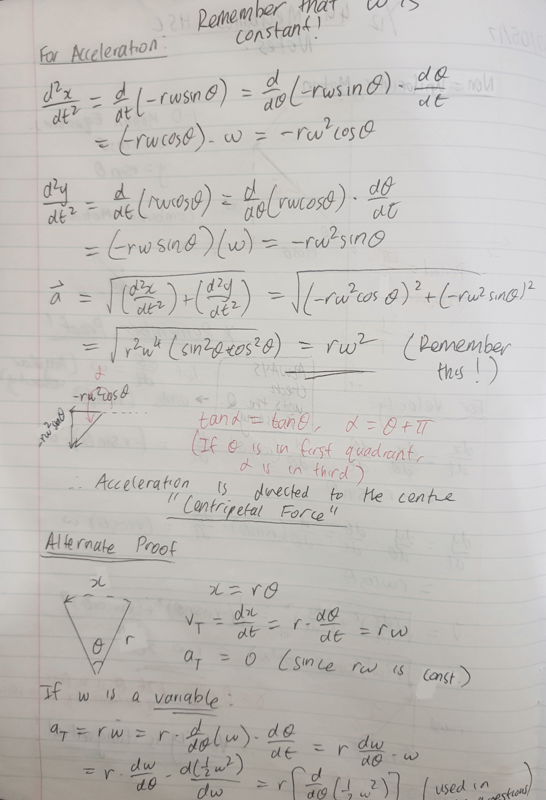 This practice meant that during the actual HSC Mathematics Ext 2 exam, I was never stressed for time and had a solid hour to check for careless mistakes. Remember to actually mark your work, adhering strictly to the marking criteria given for each examination. It is really important that you try and identify areas where your working out may be deemed inadequate, and to ensure that any marker will not be able to take marks from you for insufficient reasoning in the future. It’s a good idea to reflect on your time management during the exam, and find areas to improve on your own exam technique. Remember to also check the provided solutions for alternative methods, and list any new and unique ones. (This is particularly important for permutations and combinations as some of the methods utilised are reproducible for different questions.) 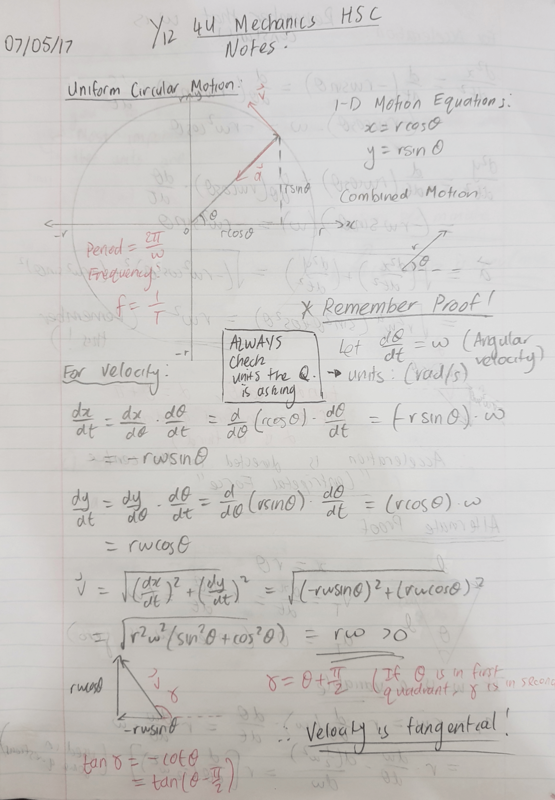 I found that doing this for each past paper I completed was the most effective use of my time, and allowed me to gain the most worth out of completing each paper. Also, I found completing past papers a great way of identifying gaps in my knowledge. Often, the reason I was unable to do the question was that I did not truly understand what underlay the area it was testing. Completing past papers allowed me to identify areas for improvement, and concepts which I lacked true understanding in. Going back to the fundamentals, and perfecting working out such that careless mistakes were eliminated, were intrinsic to my process of study. Preparation for school assessment tasks started well before the actual examinations. 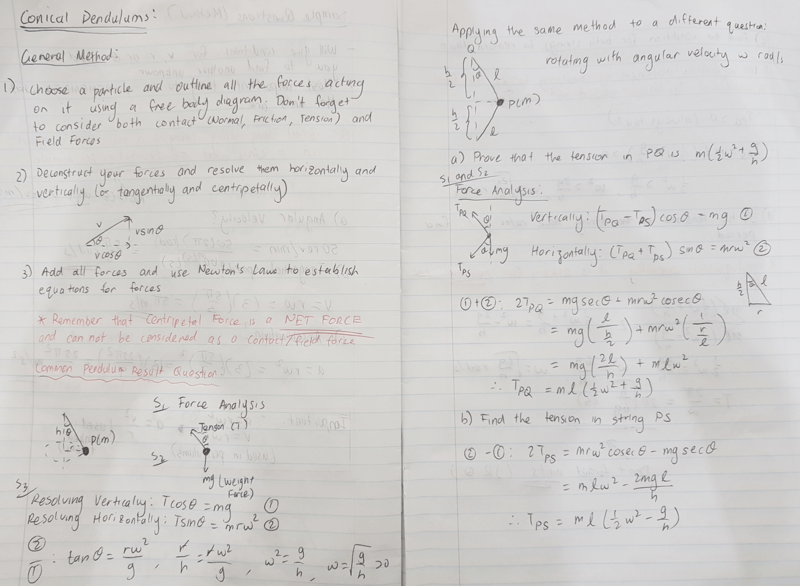 Throughout the term, I ensured that I maintained a consistent study rhythm that consolidated my understanding of mathematical concepts (outlined in the step-by-step procedure above). Consistency in my study throughout the entire year was intrinsic to my preparation of school assessment tasks, as this ensured that I retained the knowledge over the long-term. As the date of the examination approached, I organised my time to focus on the concepts that were being tested. Initially, I revised the notes that I had created throughout the term for the concepts to be tested, and read over the work I had completed in Matrix Workbooks and other textbooks. I would revise the fundamentals of each concept and use my teachers/resources to identify areas where I had gaps in understanding. I then spent the time to collect as many relevant resources for the concepts as I could (the HSC questions organised by topic were extremely useful for doing this) and collected past papers which I could use to revise. My preparation for these two exams was extremely similar to school assessment tasks but had a greater focus on consolidating understanding. It can be really difficult to remember an entire year’s worth of content and apply it effectively in an exam, so consistency in your study practice and ensuring you have a proper understanding of each area that is testable is essential. Many of the questions in the Trial and HSC exams are there to test whether you can adapt your understanding to different questions with your own problem-solving skills. So, knowing a variety of methods will help you stay confident when facing unknown questions. I found that reading through my concept notes and my ‘book’ of mistakes was an important first step in my study, followed by practice papers for Trials and HSC Exams under timed conditions. With the myriad of past papers online that can be attained with a simple Google search, it was really easy to gain the appropriate resources to prepare for these examinations. Further, in preparing for the HSC Mathematics Extension 1 and 2 Exams, in particular, I completed the Bored of Studies Community Trial HSC papers as these had extremely difficult questions, exposing me to new methods and questions styles. If I could start this year over again, I would’ve established my study schedule from earlier on and managed my time more effectively. This would have significantly reduced my stress throughout the year and ensured that I wasn’t playing ‘catch-up’ due to complacency. Also, I would’ve focused more on maintaining a healthy study/exercise balance, as I found this was the main reason I was able to cope with the challenges the HSC poses. Knowing that the HSC wasn’t the end of the world and that it was possible to come back after failures, would have significantly improved my attitude towards study. 1. Manage your time – Remember to establish a consistent study rhythm early on so that you grow accustomed to the workload of the HSC year and never get overwhelmed with too much study. Setting up a schedule in a diary will help in mitigating the influences of procrastination and clearly identify your journey of progression and improvement throughout the Mathematics courses. This will give you a sense of personal satisfaction when you reach your goals, and also help you to reflect on ways you can improve when you fall short of your aspirations. You will never be able to study an entire course worth of content the night before an exam, so doing small amounts of preparation consistently throughout the year will be 10 times more effective at helping you retain knowledge. 2. Develop your exam technique through practice – Remember that completing past papers under restrictive time conditions is the best way of perfecting your approach to exams. Use your reading time during the exam to thoroughly identify what the questions are asking, especially for the last question or the long mechanics ones. Use the time to get a ‘taste’ of what is in the exam, and begin to dream up of methods that you can utilise to tackle some of the questions. Questions that you have seen before, or are really similar, will be scattered throughout the paper, so flicking through the entire paper will give you the confidence to overcome the challenges it poses. Attempt every question and never stress over not seeing a method of doing the question instantaneously. Too often I see a stigma over the last question of HSC or Trial Exams, particularly for Mathematics Extension 2. When faced with the challenge, try to break down the question into pieces to see what concepts it is trying to test, as the question usually guides you through an appropriate way of approaching it. Also, make sure you check all parts of the question to see if you can do later parts, even if you were unable to prove the previous. It is a good idea to ponder over why a question is asking a particular part (particularly in circular geometry) as this will help you approach both previous and later parts. This will ensure that you maximise the marks you are achieving. 3. Be open to feedback – Remember that the marking guidelines are where your marks for the exams are coming from. Be open to critical feedback that you receive when tackling past papers and checking the worked solutions to the ones provided. Try to improve on how you present your solutions within an exam scenario such that any marker will not be able to deduct any marks for insufficient justification. Further, seek feedback from your teachers for the layout of your working out, especially from the Matrix Mathematics Tutors at the Workshops, this will help you identify areas of improvement and make sure that you receive the marks you deserve. 1. Do not beat yourself over past mistakes – Remember to use your past failures as learning experiences. Never define your worth by the mark you get in an exam. “In the end, we only regret the chances we didn’t take” Lewis Carroll. Remember that your HSC exams are not the end of the world and that it is always possible to come back from a deficit. Your failures will only motivate you to compensate for your losses. 2. Do not panic during the exam – Although the task of an HSC Mathematics Exam is quite daunting, try and gain confidence from knowing that you tried your best to prepare. Exposing yourself to a variety of questions over a prolonged period of time will make sure that some of the questions that pop-up are things you have repeated consistently. Remember to approach the challenge of an exam by chipping away at it in little bits and never feel down because you can’t answer a question. The sum of all of your attempts throughout the entire paper will add up to a good mark in the end! 3. Do not compensate sleep for study – Remember that your preparation for your maths exam should have started well before the notification was issued out, so make sure you NEVER study last minute. Manage your time effectively such that you get at least 8 hours of healthy sleep, and never stay up too late the night before your exam. You need to be fresh and productive when you learn new concepts or tackle your exams, so sleep is essential to achieving the results you want. The cost of an extra one or two hours of revision before an exam in the middle of the night is much more of a detriment than the supposed ‘benefits’ it entails. Remember that “Success is the sum of small efforts repeated day in and day out” –Robert Collier. Want to ace Mathematics Extension 2 for your HSC like Matthew did? Get ahead of your peers like Matthew did with our Year 12 Maths Extension 2 Holiday Accelerated Course. With advanced completion of contents before it’s taught at school, you’ll be well-prepared for your next assessment. Learn more about the Year 12 Maths Extension 2 Holiday Accelerated Courses.